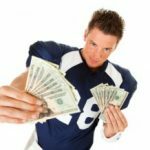 As a followup to my recent post about how athletes go broke, I wanted to highlight a recent article by Linda Stern. In it, Stern looked at steps to take if you’re fortunate enough to be the recipient of a major financial windfall. This advice applies equally well to those who have inked a major signing bonus, won the lottery, accepted an early retirement buyout, taken a lump sum in place of an ongoing pension, received a major life insurance payout, inherited a boatload of money, etc. Decide if you really want it. 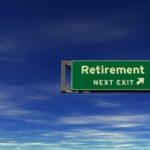 For starters, if you have a choice in the matter (e.g., a lifetime pension vs. a large one-time payout) you’ll have to think carefully about which option is best. There are risks both ways (e.g., solvency of the payer vs. your ability to make a lump sum last). Perhaps the windfall isn’t in your best interest after all. Tuck it away safely. 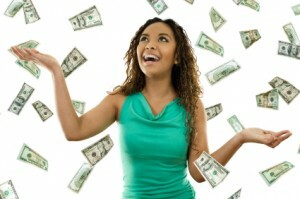 Once the windfall is yours, don’t make any rash decisions. Stash your cash until you’ve had time to sort our your options. Just be cognizant of FDIC insurance limits when doing this. Think about taxes early. Don’t get caught with your pants down at tax time. If it’s a tax advantaged payout, you may need to roll it over to a like account to avoid facing a huge tax bill. 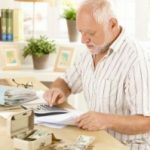 If you’re inheriting securities, be aware that the cost basis steps up upon transfer and that you don’t need to wait to sell. And if it’s just plain old income of some sort, be sure to set enough aside for the tax man. Deploy it gradually. Unless the money is a small part of your overall assets, don’t be in a rush to deploy it all at once. Instead, dollar-cost average over a period of 6-12 months. All in all, pretty standard stuff… Though point #5 might be the subject of some disagreement. One might argue that, if your allocation is right, you shouldn’t be afraid to deploy your cash all at once. Of course, if you’ve come into a substantial sum of money, your need to take risk decreases and you might want to adjust your holdings accordingly even if you’re comfortable deploying the entire windfall at once. Yes I was surprised to see deploying it gradually was one of the recommendations. Research shows that you are better off just deploying it all at once generally. Why deploy it gradually? Thought experiment: after you deploy it into the market your broker makes a mistake and sells all of your positions. Do you re-deploy it gradually or do you re-invest in the positions you were in immediately? Dollar-cost-averaging into the market with a windfall runs the same upside risk as it does downside risk, with the additional caveat that you’re *guaranteed* to lose on the time-value of your money working for you. DCA makes sense when you have a steady inflow of capital to invest (i.e. a portion of your paycheck). I think this is sound advice. Only item I’d add is any windfall usually comes with much emotion, life insurance and inheritance might be obvious, but personally, if I won a lottery, I think my excitement could be as mind-clouding as grief. I came up with a 10/10/10/70 plan as a beneficiary of an estate. 10% I gave to charity; 10% put to long term “savings,” paying down/off mortgage or retirement; 10% I blew in a wild spending spree, doing something I’d ordinary not do; Finally, the 70% I’d tuck away until my reason and emotions were on the same page to deal with things. Oddly it was that permission of the whimsical 10% which was key, prior to that, there was an internal struggle. By quarantine off a section, I gave myself permission for some luxury. That consumed most of the emotion tied to the windfall then I was better able to think about the rest. However, before, “when trying to be good” I oddly ended up spending more money without a clue where it went.